Paul Nicholls is eyeing up the Christy 1965 Chase at Ascot on Saturday, for his dual Grade One winner - Politologue's return. The ten-times Champion Trainer has suggested the Grade Two contest over 2m5f at the Berkshire venue as the 7yo's most likely starting point, as opposed to meeting the best in the business in the first leg of the Jumps Triple Crown at Haydock, in the Betfair Chase on the same day. It could also set up another clash with the Willie Mullins-trained Min, who Politologue beat so gamely, in the Melling Chase at Aintree back in April. Both of which are looking at stepping up in trip, for a possible tilt at the King George on Boxing Day. Nicholls said: "Politologue will go straight to either Ascot or Haydock. He will probably go to Ascot for the 1965 Chase. "If all the good horses go to Haydock, there is no point going there first time out. I'm not saying he will stay three miles but John Hales - his owner, would like to see him over it one day. "He might just be a good middle distance horse. Kempton over three miles maybe for him but three-and-a-quarter miles at Cheltenham is a different thing," he said. 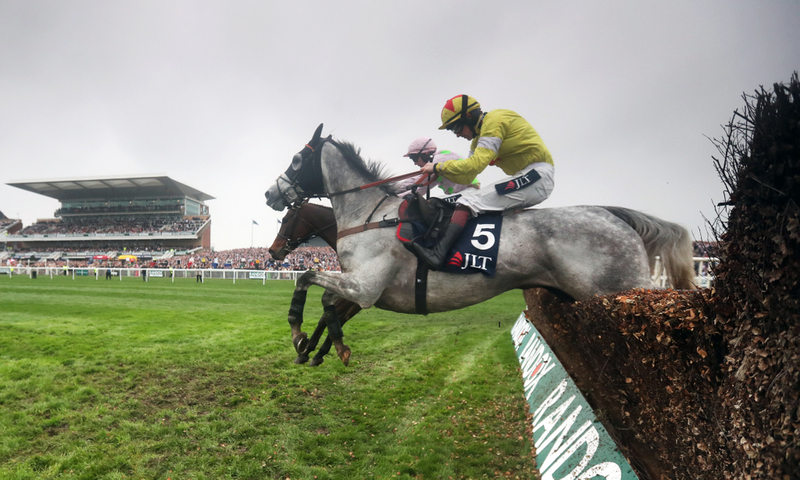 Nicholls will however be represented in the Haydock feature through Clan Des Obeaux, who was last seen finishing a good third to Might Bite in the Aintree Bowl seven months ago. Plenty of horses are returning for the first time this season in the field, and that means anything can happen.